Sky is to consolidate its two arts channels into one from June, with the combined Sky Arts channel moving to a new, higher position on Sky's channel list. Sky Arts has confirmed that the changes will happen on 9th June, the same date Sky 3D will be removed from satellite (see Sky 3D goes on-demand only, from Monday). As part of the merger of Sky Arts 1 and 2 into a single channel, the service will have a 10% budget increase. The channel will move to Sky 2's current slot - channel 121 - on Sky's Electronic Programme Guide. 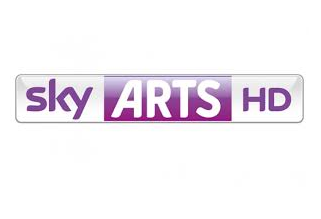 Sky Arts currently broadcasts on channels 129 and 130. Sky Arts 2 has a lower reach than Sky Arts 1; it's notably absent from Sky's streaming service Now TV. Will the new combined channel be in HD? Will there be a +1 channel? giving you more to watch when you want to. Can I watch Sky Arts on other TV platforms? Yes. Sky Arts is available on Now TV. You can also find Sky Arts on Virgin Media, Smallworld Cable and Talk Talk TV (YouView) in the UK. In Ireland, cable network UPC carries Sky Arts.